I was still in university when I published some of my first knitting patterns. 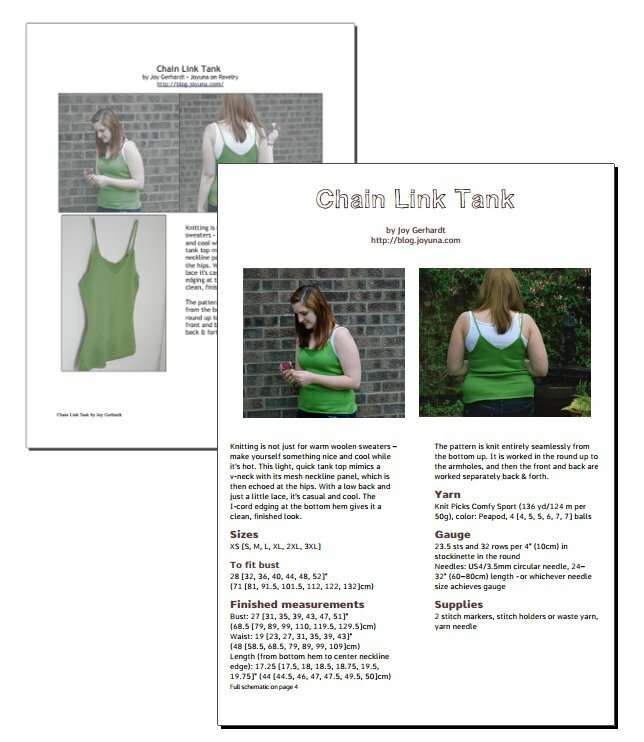 While I remain proud of all my knitting designs, I've never been a graphic designer, and many of my early PDFs reflected that fact. In my current day job I've been gaining experience in Photoshop and InDesign, and I've been able to transfer those skills back to designing. One of my projects for the year is to re-format as many of my old patterns as I can, using real layout software (no more layout in OpenOffice!) and the principles I've picked up from web design (white space! balance! nicely edited photos!). I think you will find the new layouts much clearer, with more logical organisation, and generally more attractive. Plus, the PDF conversion is optimised so that in many cases the file sizes are smaller too. 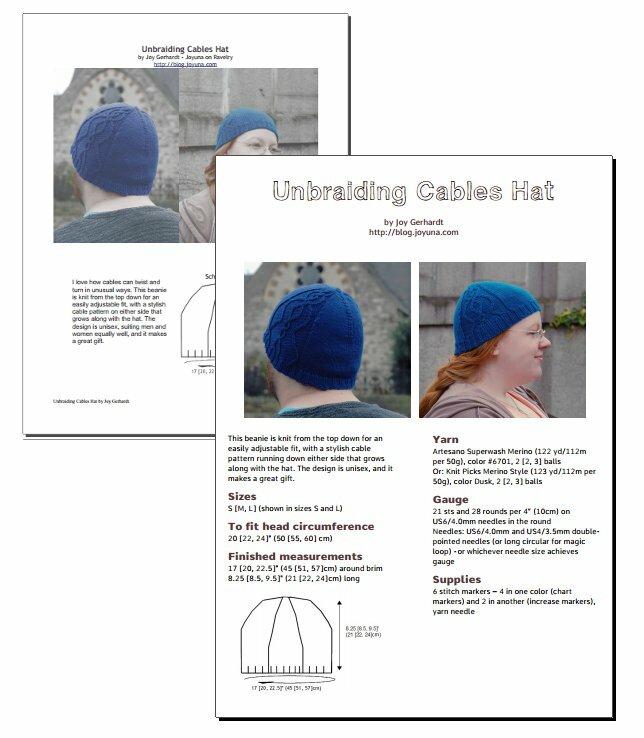 The first patterns to receive this treatment are the Unbraiding Cables hat, Chain Link Tank, and Dogwood Shawlette. If you've already bought these patterns on Ravelry, you should already have the update in your library. If you bought them on another platform, contact me at Joyuna at Gmail dot Com and I can send you an updated version.